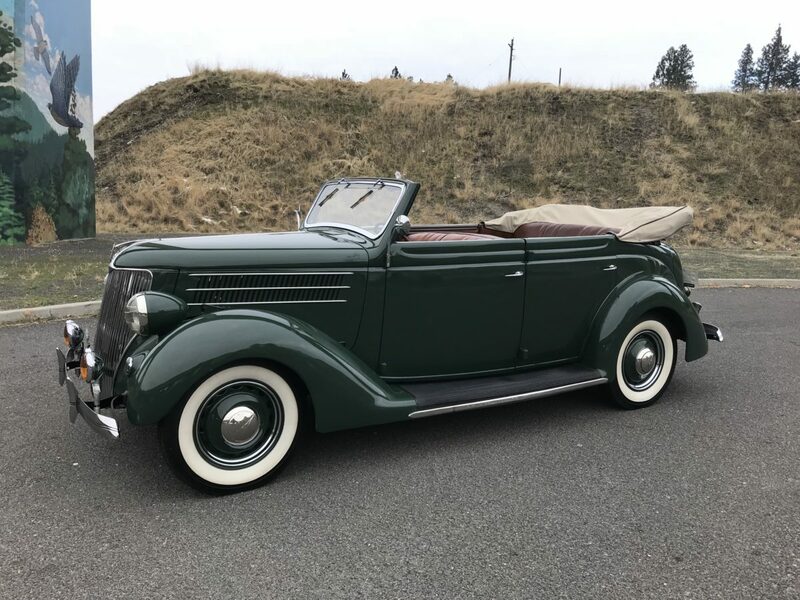 1936 Ford V8 Sedan Convertible, 21 stud motor, new radial tires, new shocks and battery, no rust, factory radio, clock, heater, good leather interior, good top, the stock motor starts easily and runs very quiet. Older but very presentable green paint with a few time blemishes. A beautiful touring car.